„Gera’s diamonds“ is known as a new living district. It has an important role as an interzonal connection due to its central location and urban structure link. Furthermore it extends and strengthens the existing downtown area in the middle of Gera. The diamonds intermesh with the surrounding urban space and connect the green space from south to north in the urban scale. Two frames of urban structure are created through the district’s relation to the environment. 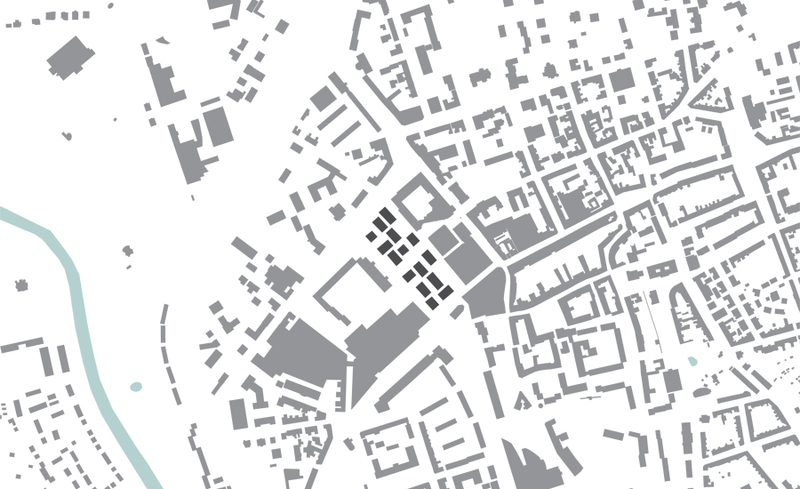 In this way the square of the museum is defined as a new meeting point for residents and an entrance into the city. 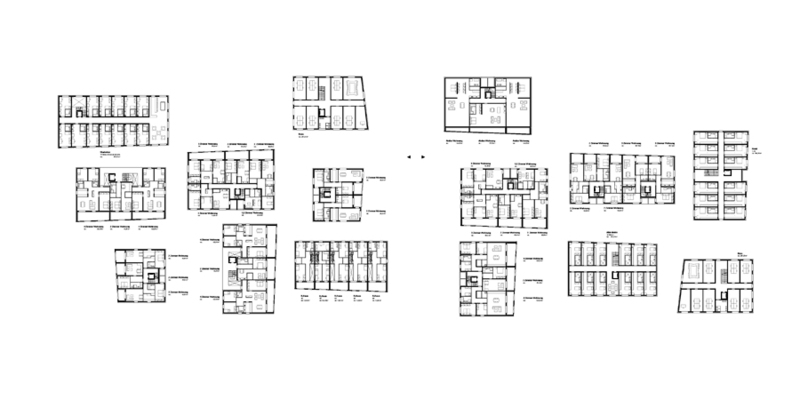 The structure is divided into several villa-like building modules and the individual building types interact with the urban edges of the periphery in quarter and the route in the north. 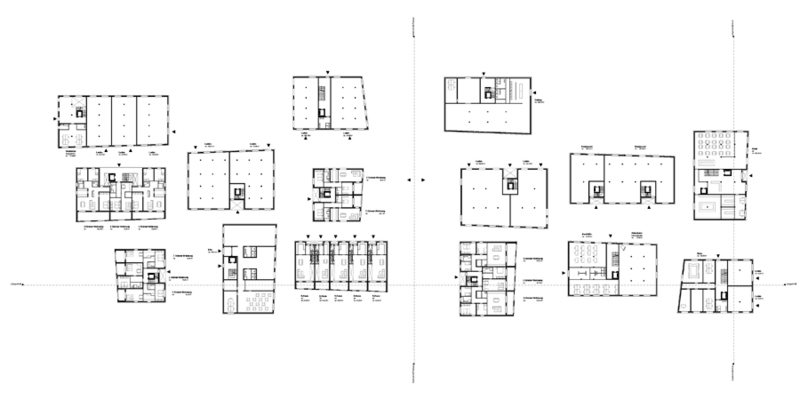 Depending on their location they get transformed and through this process the individual building types constitute neighborhoods with quarters. The architectural ensemble of the individual buildings offers community character to the area. 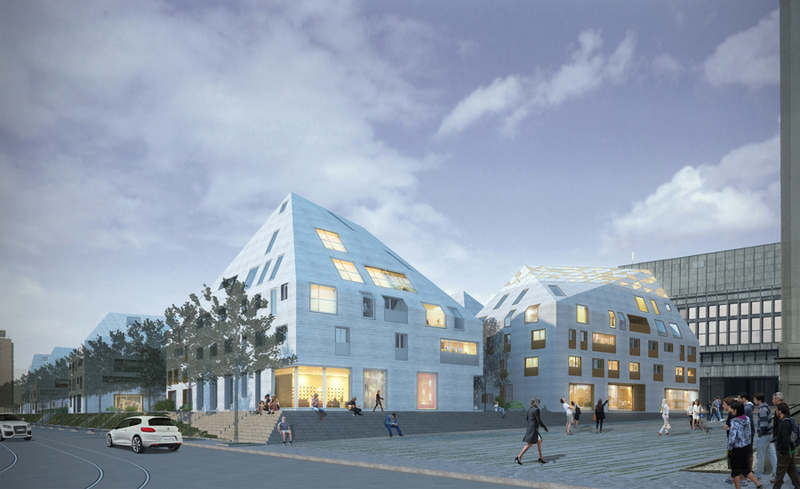 Each building is formed by transformation of the roof surfaces leaning inwardly to one another. 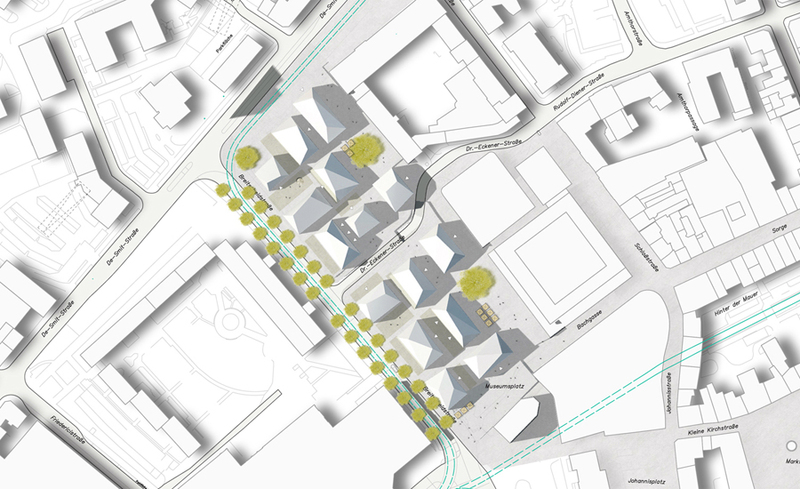 The slight angular form creates a unique city-image, an exciting urban space and urban diversion to the surrounding buildings, for example the Stadtmuseum. Therefore the district receives a strong urban identity and symbolism, and moreover a relationship to the environment simultaneously.